The average human male ages 19 and older should consume between 2,500 and 3,000 calories per day, according to a study from the USDA. 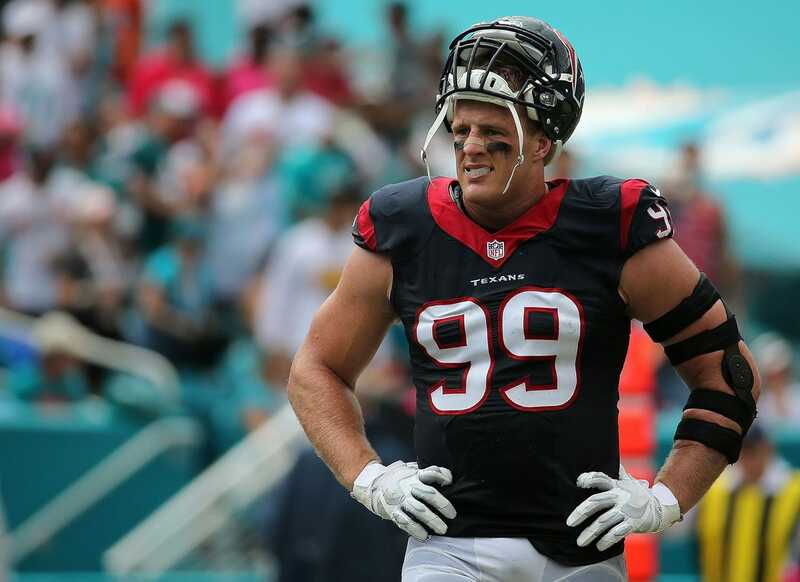 Houston Texans defensive end J.J. Watt is not your average human. According to GQ, Watt consumes a stunning 9,000 calories over six meals — every single day. That’s two breakfasts, two lunches, and two dinners for the 6-foot-five, 290-pound reigning Defensive Player of the Year. Don’t worry, though. Watt says he doesn’t count calories! For his first breakfast, Watt reportedly eats 900 calories worth of oatmeal, plus a cool six eggs. The rest of his sustenance consists almost entirely of grilled meat and vegetables. Shockingly, Watt does eat some carbs: whole wheat pasta and some wheat toast in the morning.